Paesanos Transports You To Sicily! The dining room at Paesano's immediately transports you to an authentic Sicilian village. The subtle lighting and rustic décor sets the perfect mood. Italian music from Sinatra to old time Italian tenors completes the ambiance. 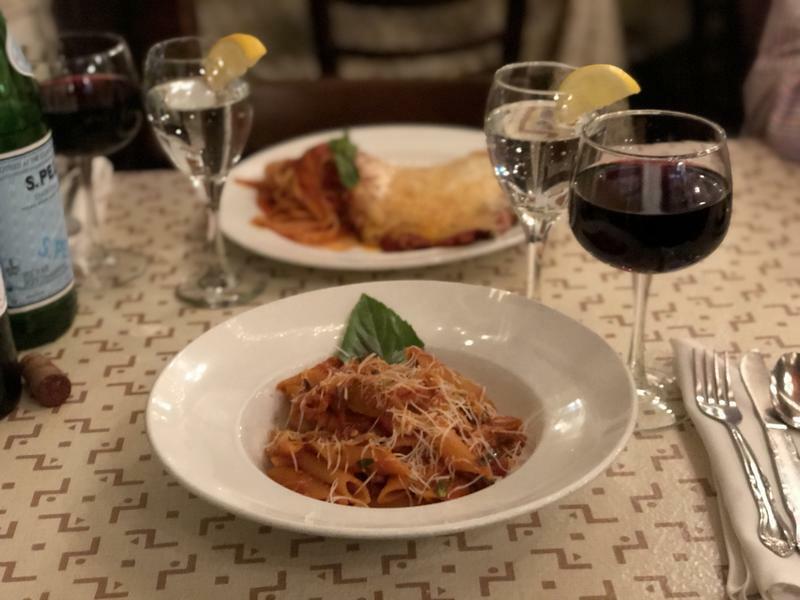 The menu at Paesano's offers a long list of your favorite Italian specialties including a wide variety of seafood, chicken, veal and assorted pastas. The mood here is very relaxed and the staff ensures you’re comfortable as soon as you are seated. It is immediately obvious that your meal is going to be something special and the staff is very attentive. Before we got started on dinner, we were served with a basket of fresh Italian bread. Now, this is no ordinary bread and olive oil experience. Not only is the bread extremely fresh, the house made oil is a special mix of garlic, parmesan, red pepper flakes, basil, salt and pepper. We could have made this a meal! We started with two appetizers: The stuffed artichoke and Mussels Marinara. The stuffed artichoke was large and the stuffing soft and tasty. 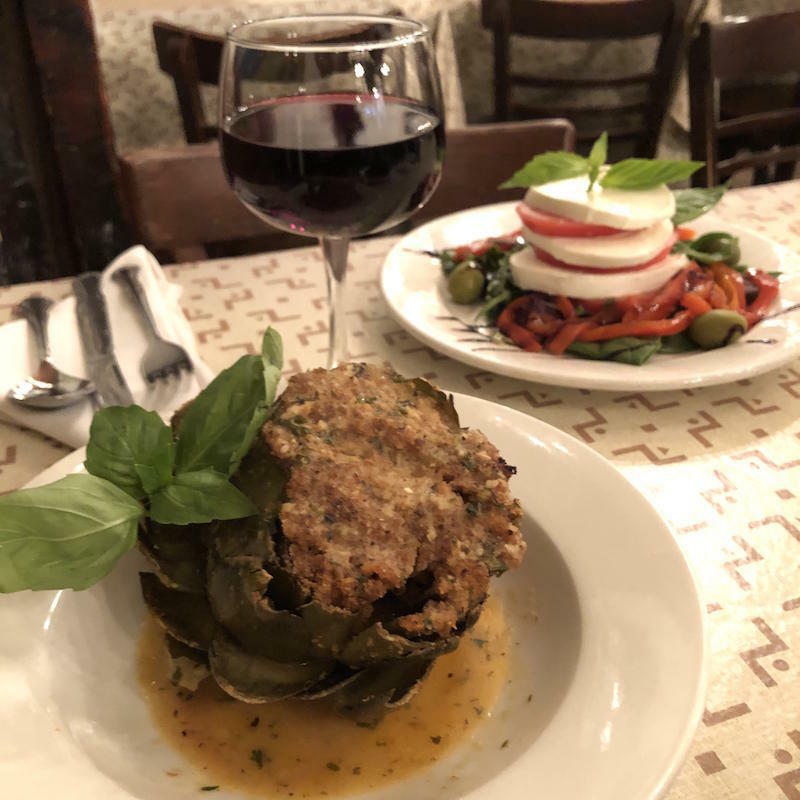 There is a skill in properly eating a stuffed artichoke as you peel away the leaves one by one and enjoy the meat of the artichoke as it is complimented by the stuffing. 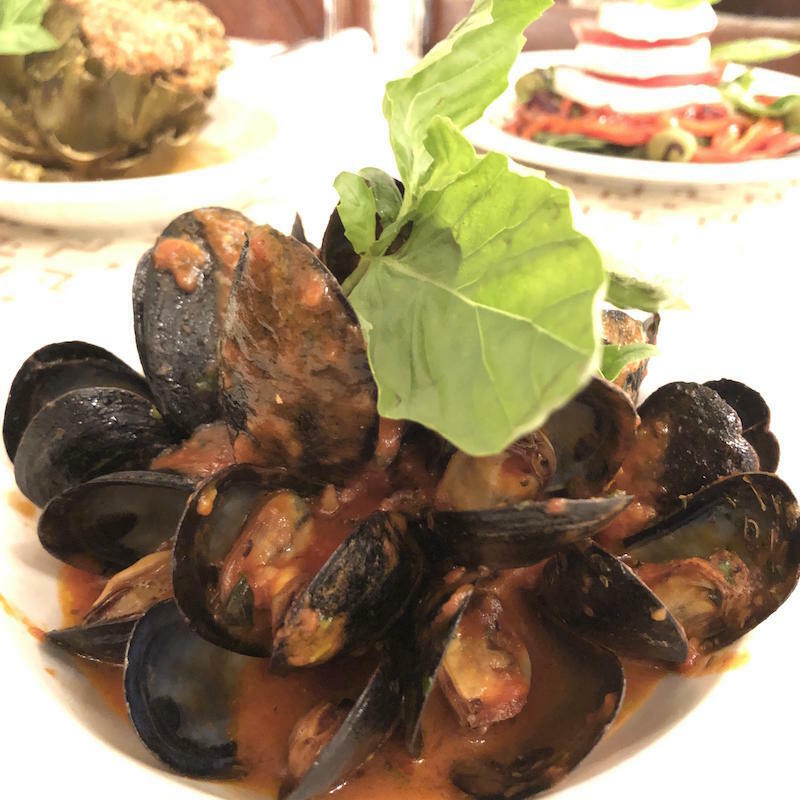 The mussels marinara were exceptional and served with a generous portion of hearty house-made marinara. We then enjoyed the Mozzarella and tomato salad. The fresh mozzarella and tomato slices were stacked high on the plate and drizzled with the traditional vinaigrette. The flavors and textures came together perfectly. We tried another house specialty; the Penne Arrabiata. For the penne, the chefs here have created a unique and slightly spicy variation of their famous house-made marinara sauce. The penne had just the right amount of tooth and the special mix of spices showed their personality without overpowering the pasta. The Arrabiata blends garlic, oil, cherry peppers, oregano and basil into the house-made tomato sauce. Highly recommended!! If this wasn’t good enough, we were treated to two excellent main courses. The Risotto Pescatore is a true seafood lover’s delight. The flavorful risotto is piled high and covered with mussels, clams, shrimp and calamari. We tried this with the white wine sauce, which we loved, but you can also have this with the famous house-made red sauce. This dish has many exciting flavors and textures and is healthy portion of food. Each of the seafood components shined brightly and came together perfectly! 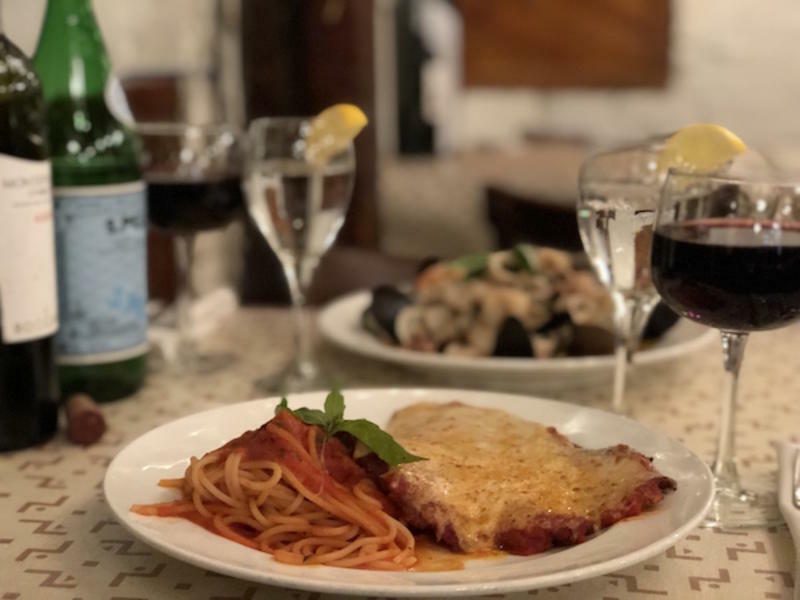 The Veal Parmesan was tasty to the last bite. The veal was covered with thick cheese and the meat was tender and melts in your mouth. It is also a healthy portion but there was no way any of this was being left behind! 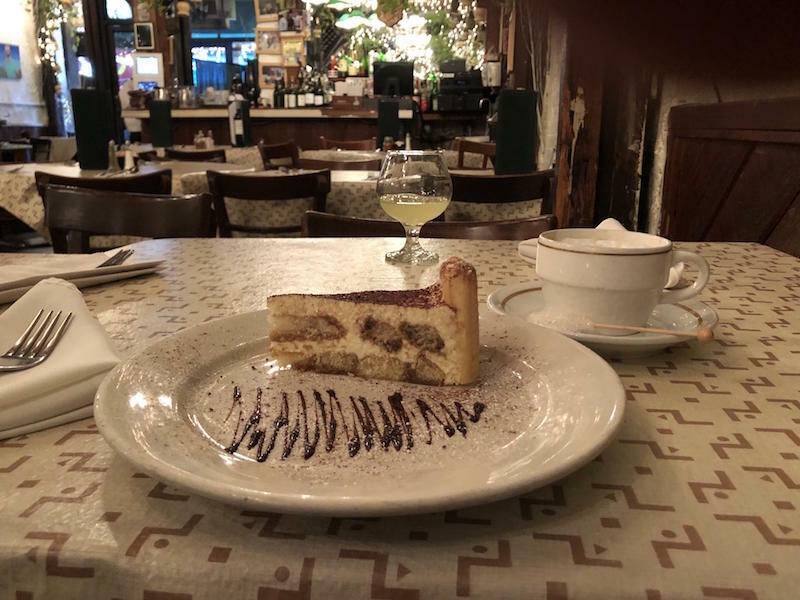 For dessert, we sampled three Italian favorites. We first topped off the meal with a perfectly made Macchiato. Of course, no Italian meal is over until the Limoncello is served, so we made a toast and dove into the creamy and fresh Tiramisu. Every bite was fabulous! Paesanos’ low-key atmosphere in no way should suggest the food is the same. Every dish we tasted was bursting with flavor. 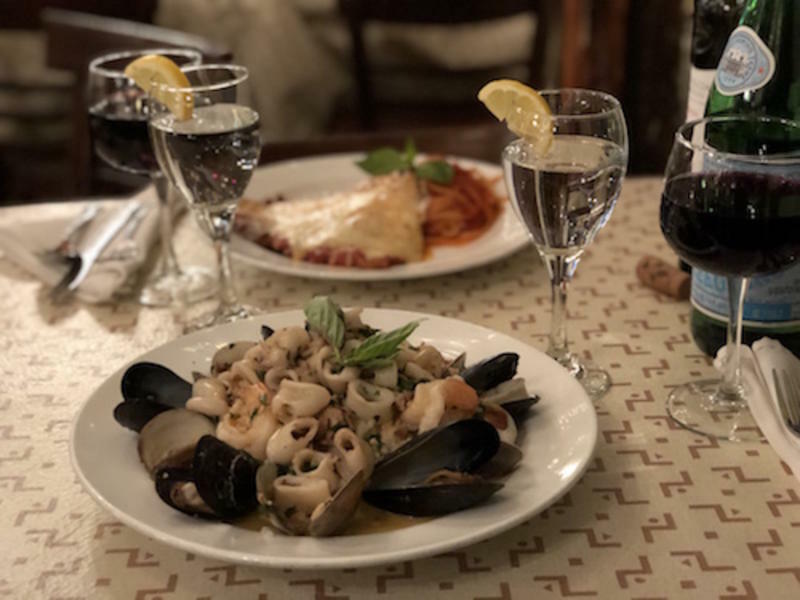 The best Italian meals are simple and Paesano's of Mulberry Street in Little Italy NYC has a long tradition of using the finest and freshest ingredients. This is and the pride that goes into every meal is exactly what has been bringing back customers for generations. Click Here To See Our Interview with The Cannoli King of Caffe Palermo!